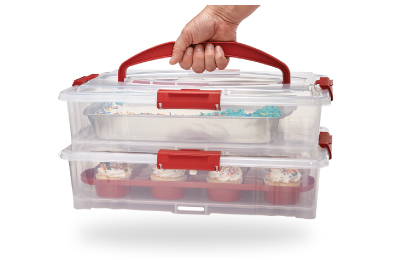 The large Cake & Cupcake Carrier is perfect for ferrying dessert to the party! 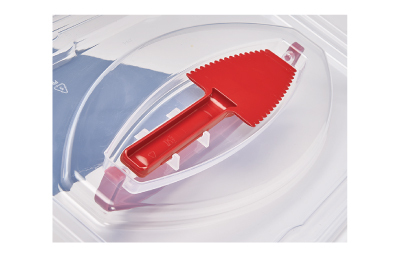 Comes with a slice-n-serve utensil that snaps into a holder underneath the lid. 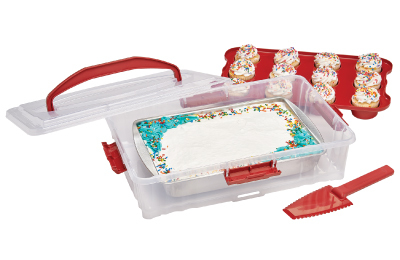 Also includes a sturdy 12-ct tray for cupcakes and muffins. 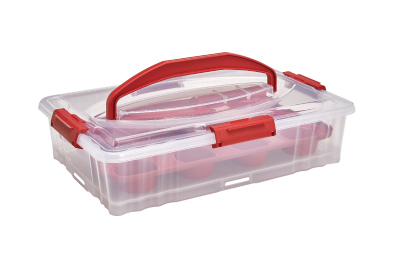 The over- size base will hold full size 13”x 9” cake pans.